Hold a card box in your hand. Instantly, right in front of your spectator, the card box disappears leaving you with just one, single card - their signed and selected card! Each gimmick is custom made, by hand. Online instructions explain a range of possible Travelling Deck routines. We explain how to modify and repair your gimmick if necessary. Also included in the video are four complete routines, as well as a host of ideas and suggestions. 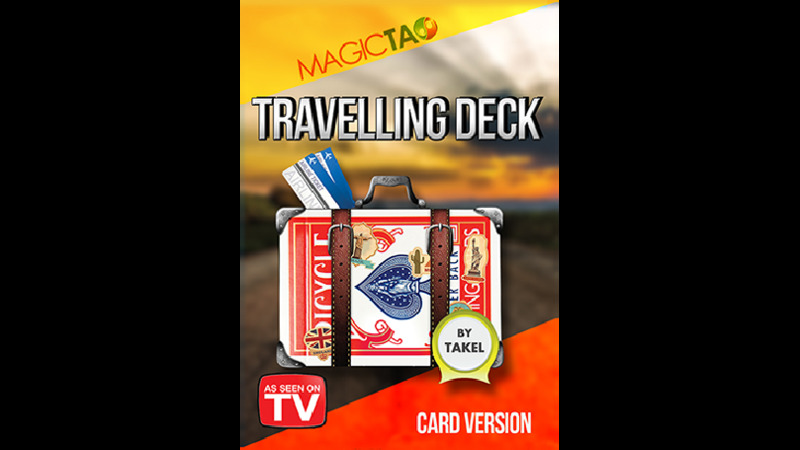 You will find it hard to put the Travelling Deck down. It's fun to perform and audience reactions are just out of this world! No pulls, Topits or difficult sleights. The perfect opening for any table hopper. Online instructions and ready-made gimmick supplied. "I cannot wait to start performing this!"